packed into one month of diving and fun! 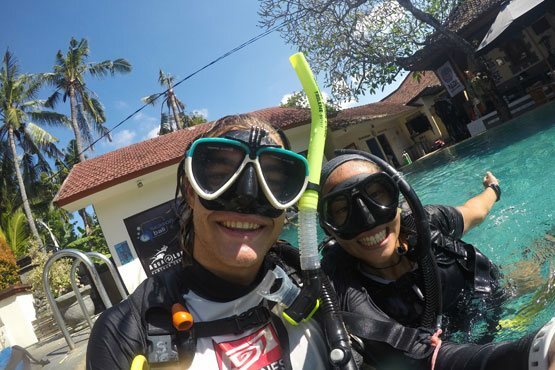 Our 1 month Bali Divemaster Internship not only meets standard requirements but goes beyond that of your average course. This is our basic course that incorporates everything you need to know to be a successful PADI Divemaster. 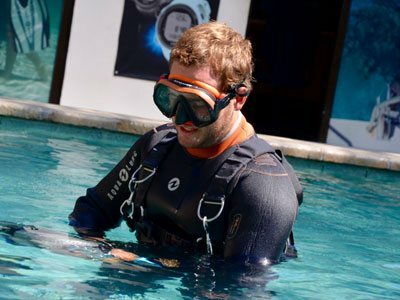 Learn the aspects of conducting and supervising dive activities, guiding certified divers, assisting in the training of new and experienced divers alike and so much more. Our PADI 5 Star Career Development Centre facilities and award winning team of PADI instructors ensure you finish your programme with the confidence and skills needed to be a PADI Pro and excel in the industry. The 1 month Internship isn’t your only option! We offer multiple core programmes and can tailor any package to suit your specific needs. Check out the Divemaster Internship comparison tool for easy comparisons between our Internships. Equipment Rental- We provide BCD, tanks, weights and wetsuit. As a Divemaster we expect you to have your own mask, snorkel, boots and fins plus you will need to have the required items for all divers, such as a dive knife, SMB and other items. We can help you purchase equipment that you do not have. A dive computer is not included in the price and as a dive professional, we recommend having your own. 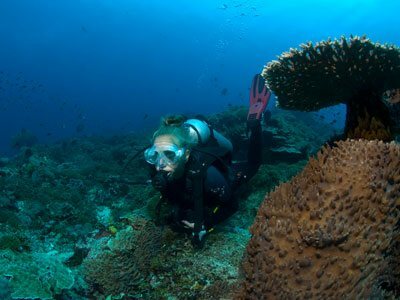 Our Bali Divemaster Internships begin whenever you like. 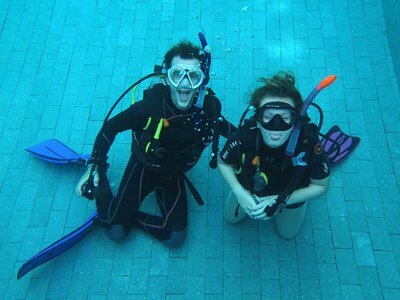 We start a new PADI Divemaster course every Sunday so dates are very flexible. Upon arrival we will get you out diving or completing any recreational certifications to welcome you to our incredible dive sites. When ready, you will take your first step in becoming a PADI Pro, the Divemaster course. For the first couple of weeks we conduct multiple workshops and theory sessions where you begin to build and refine your skills and we train you to begin relaying this information to students of your own by conducting mock courses with you in the lead! Another point that really sets our programme apart is that you can repeat any aspect of the course as many times as you like so there is no limit to the amount of experience you can gain during your internship. Throughout the course you will begin to assist our highly experienced guides in escorting certified divers for fun dives at any of our world-class diving locations. In addition we will begin to prepare you for assisting PADI Open Water Scuba Instructors in the training of new and experienced scuba divers and eventually you will be able to assist on multiple PADI courses with real entry-level and continuing education students! Don’t miss the opportunity of a lifetime. Email us now to begin your career as a PADI professional and turn the world’s playground in to your office. We will provide you with everything you need to know about costs, course details, cost of living, life in Bali and so much more! See below to contact us NOW! Don't yet meet these requirements? No problem - just get in touch with us and we'll put together a custom package for you. Are you missing any of the above courses?